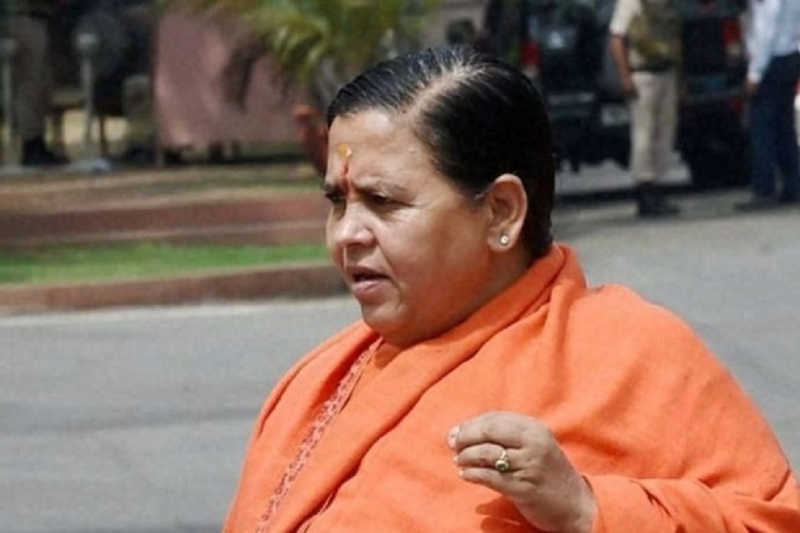 Amid speculations that she could be pitted against Congress Lok Sabha candidate from Bhopal, Digvijay Singh, former Union Minister Uma Bharti tried to clear the haze by saying that her role in this connection was complete in 2003 itself. She had already ousted Digvijay Singh from power in 2003. Hence, her role is already complete. She made number of tweets on Sunday and said that, anyone among Alok Sanjar, Krishna Gaur, Rameshwar Sharma, Shailendra Sharma, Alok Sharma, Bhagwandas Sabnani, Vishwas Sarang can defeat Digvijay Singh. She also tweeted that, role of workers is pivotal in defeat and victory. Hence, leaders should not harbour any kind of arrogance. She said that, one thing should be understood that Bhopalites are eager to defeat Digvijay Singh. In one of the tweets, she stated that, the right of deciding Bhopal candidate is not with her. Rather it is parliamentary team, which calls the shots. But one thing has to be kept in mind that defeating Digvijay Singh is not at all difficult. In this regard, she cited the past examples and said that in 1989, former CM P C Sethi got defeated by Sumitra Mahajan in Indore Lok Sabha election. Likewise, then CM Kailash Nath Katju got defeated by BJP’s Dr Laxminarayan Pandey. Former CM Arjun Singh lost elections at the hands of Kushwah in Satna and Sartaj Singh in Hoshangabad. Later, one letter was also issued by her office in which she told that Shivraj Singh Chouhan remained CM for thirteen years and he is a big leader. He could defeat Digvijay Singh.